Our mission is to help our clients achieve an optimal level of wellness and improve coordination of care while providing cost-effective, non-duplicative service. 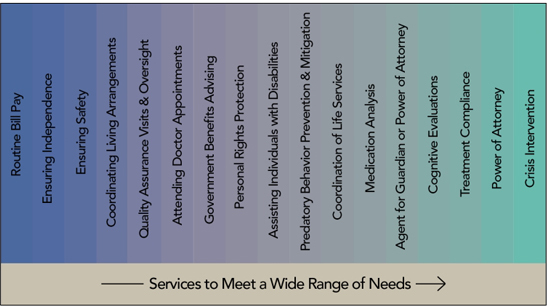 We do this by holistically examining every facet of our client's lives. We evaluate the psychosocial, environmental, medical and financial aspects of client's lives to gain a comprehensive understanding of their situation. I've been a Registered Nurse for over 25 years, which gives me a vast amount of experience in navigating the healthcare environment. I am passionate about helping seniors and even pursued certification as a senior advisor.